The cloud structure in your photo is amazing, it reminds me of an interstellar spacecraft. Works incredibly well with the otherworldly snowy peaks. Well seen. 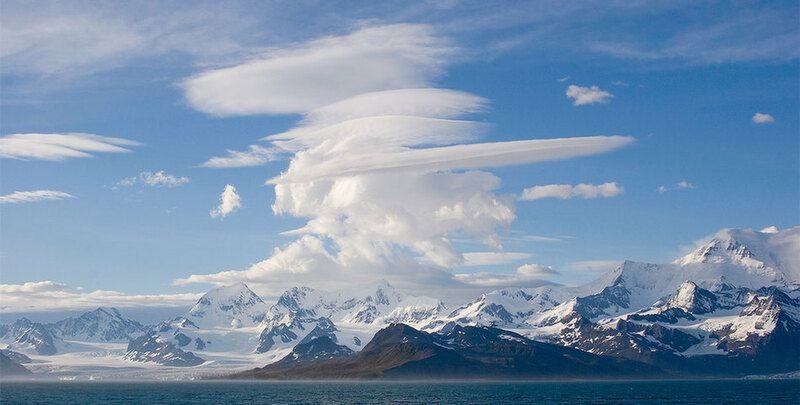 Awesome lenticular clouds over a gorgeous mountain range. Very cool shot - the cloud build-up including lenticulars really makes this one for me.